Venza Automotive India offers a 3D wheel alignment machine. 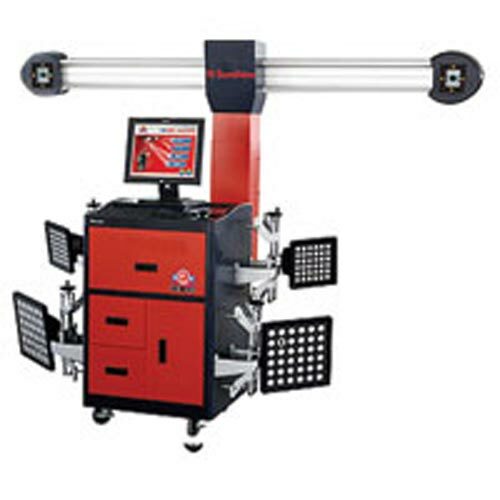 The machine is characterised with 3D cameras alignment based on the car and not influenced by the platform measurement system, double digital cameras and four target disk, supplying revolutionary measurement mode, target disk – there are no electronic components and connection lines on the target disk, so the wheel alignment will not have a component failure problem; equipment calibration – once calibrated before delivery, is workable immediately after installation and doesn’t require periodic calibration. In terms of measurement progress, there’s no need to compensate for steel ring, and the precise eccentric compensation will be just once pulling or pushing the car back and forth. The software system is easy to operate, has complete conventional basic parameters including two minutes and significantly faster than conventional aligners.